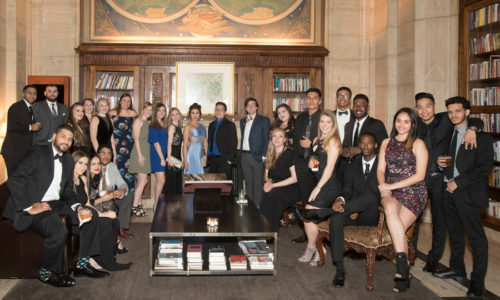 Mount Saint Vincent is set to host its annual gala, the Scholarship Tribute Dinner, on Wednesday, May 1 at Cipriani 25 Broadway. The signature fundraising event directly supports scholarships and financial aid awards, providing students the best academic opportunities available, regardless of financial means. The College will honor two remarkable individuals at the Scholarship Tribute Dinner—individuals whose lives of achievement reflect a profound dedication to their principles, as illustrated by the values of the College’s mission and the charism of the Sisters of Charity. This year, the Mount is proud to recognize Mary A. Griffin and Richard A. White. 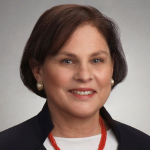 Mary Griffin, President and Chief Executive Officer of the Life Insurance Council of New York (LICONY), oversees New York’s leading life insurance organization, representing over 75 life insurer member companies and more than 20 allied professional firm members. Prior to joining LICONY in 2016, Ms. Griffin served as Senior Vice President with Citigroup’s Government Affairs Department. Her career also includes leadership positions at the American Insurance Association, the New York Department of Insurance under the administration of Governor Mario Cuomo, and on the staff of the New York State Assembly. A notable leader, Ms. Griffin has had a remarkable impact throughout the insurance and government industries—she has been named Outstanding Woman in Government for her significant contributions to New York State and is a past two-time recipient of the Outstanding Government Affairs Representative award from the Northeast Financial Services Association. She attended Newton College of the Sacred Heart and earned a B.A. in American History from Boston College. Richard White is the Chief Executive Officer and a member of the Board of Directors of ShelterPoint Life Insurance Company, New York’s largest insurer of both Disability Benefits Law and Paid Family Leave, with over 168,000 employer groups and covering 1.7 million insured employees. 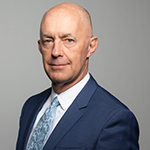 Mr. White has over 30 years of experience in creating and implementing effective strategies for business growth, diversification, product development, sales expansion, and operational excellence for several leading insurance companies. Prior to joining ShelterPoint in 2009, Mr. White was Executive Vice President of Domestic Markets with Pan American Life Insurance Company in New Orleans. He also spent nearly 20 years with The Guardian Life Insurance Company—the same organization where he began his career in 1984 as a group sales representative—culminating as Senior Vice President, Group Insurance. Mr. White serves as a member of the Board of Directors for The Insurance Federation of New York and serves on the Board of Directors for LICONY, where he works directly with fellow Mount Saint Vincent honoree Mary Griffin. He earned a B.S. in Business Administration from the University of Nebraska and holds certificates in Marketing Management from Columbia University, as well as in Organizational and Executive Coaching from New York University. Each year, the Scholarship Tribute Dinner further expands educational resources, making higher education accessible for all. Ms. Griffin and Mr. White join a growing list of prestigious individuals honored at the event. Recently, the College honored Dolly Lenz and Steven M. Menzies, Frank Kurre, and M. Shafik Gabr and Pamela J. Newman. Proceeds from the event directly support scholarships for talented and deserving students. Join us in recognizing the generosity of our honorees, scholarship donors, and the recipients of their awards.